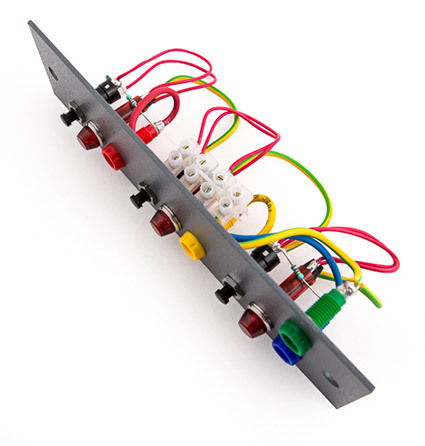 Over many years Connect-2 Technology has provided customers with a significant resource for electronic and electrical sub assembly solutions custom manufactured to your specification. Connect-2 Technology employ a dedicated sub-assembly team utilising a range of specialist equipment and hand tools, combined with purpose built assembly and test kit. Full in-house technical engineering expertise ensures strict conformance to customer drawings, specifications and instructions. We have access to a wide and varied range of components to suit almost any application, which alongside extensive experience and solid technical expertise means we are able to supply the highest quality electrical/electronic sub-assemblies on time, to your specification. To complement our high quality manufacturing operation we also provide a range of flexible supply options including order scheduling, single or multiple order deliveries and kan-ban (pull style) order replenishment systems. With over two decades manufacturing experience in a highly competitive market we have forged close working partnerships with many component suppliers that ensures our customers have access to a wide range of component items offering best value and security of supply. Connect-2 Technology can supply prototype to production volume quantities to meet your requirement, our production dexterity will match your demand. As a genuine manufacturing partner we believe in developing long-term relationships and providing a significant and commercially advantageous service to our customers.